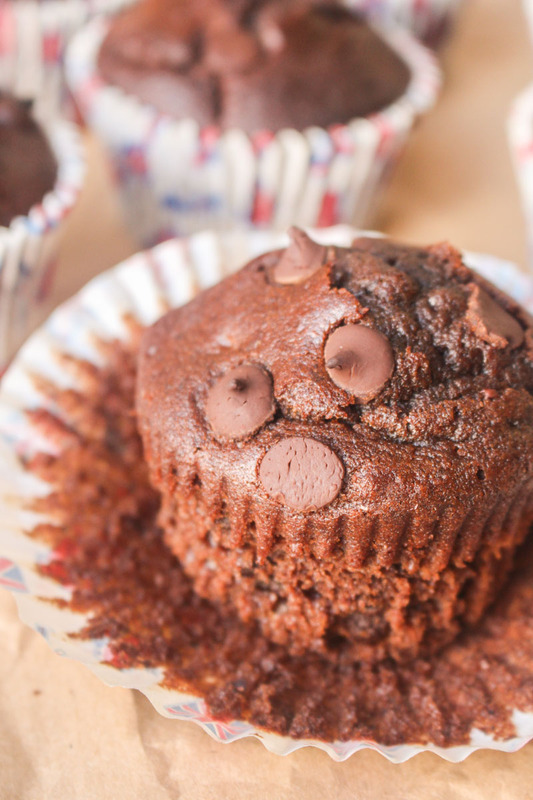 The queen of baked goods, double chocolate muffins are the first to get eaten in the office kitchen. Followed closely by the donuts, of course. But there’s really no need to go out and buy them when they are this easy to make! 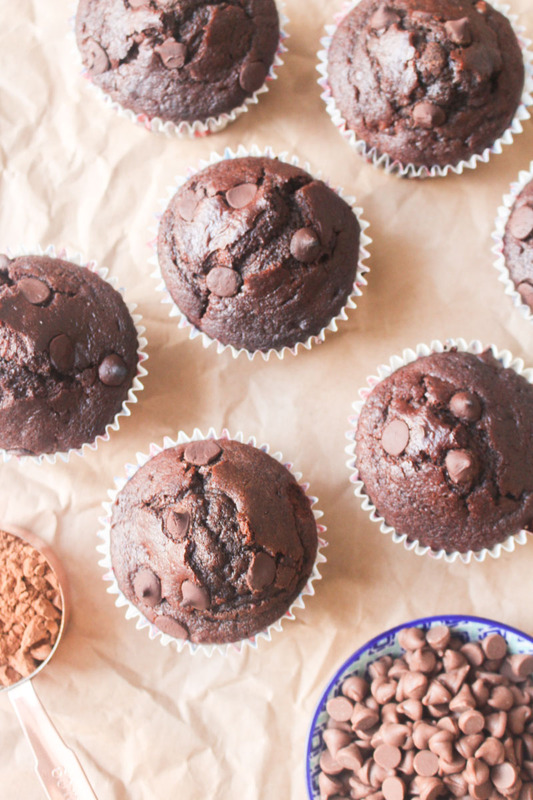 You know me by now – I like to add as much chocolate as possible to everything I bake. The muffin batter itself is flavoured using the standard ‘cocoa powder and a little bit of coffee’ method which has never let me down so far. Well, apart from the time Katie made the strongest coffee ever created, and the hideous ‘coffee fudge cake’ was born. I still have nightmares about it. Don’t let Katie anywhere near the kitchen folks, that’s all you need to know to make perfect double chocolate muffins every time. Sour cream. After my wedding cake baking extravaganza, I am now a full-blown sour cream convert. In my experience, sour cream gives cakes a much better (read: more moist) texture, as well as helping to keep things together a bit more. I have absolutely no science to back this up, but I feel like the fact that it isn’t as runny as yogurt or milk helps to make cakes a little bit more dense, but in the best way. Higher baking temperature. My recipe calls for an initial oven heat of 220°C or 425°F, which is pretty hot for a muffin! This is a tip I learnt from Sally, and helps make sure that you get that domed top on your muffins. Once baked for 5 minutes at this high heat, you are going to want to ensure you remember to reduce the temperature down for the rest of the bake time, or your going to end up with something black and crispy. Coffee. Always add some coffee to your chocolate bakes. It’s such an easy way to get them tasting amazing, without actually doing much at all. And no, it won’t make your muffins taste like coffee at all. I really HATE the flavour of coffee, and I adore these muffins. Just make sure you use normal strength coffee, and not some super-triple-distilled espresso coffee. 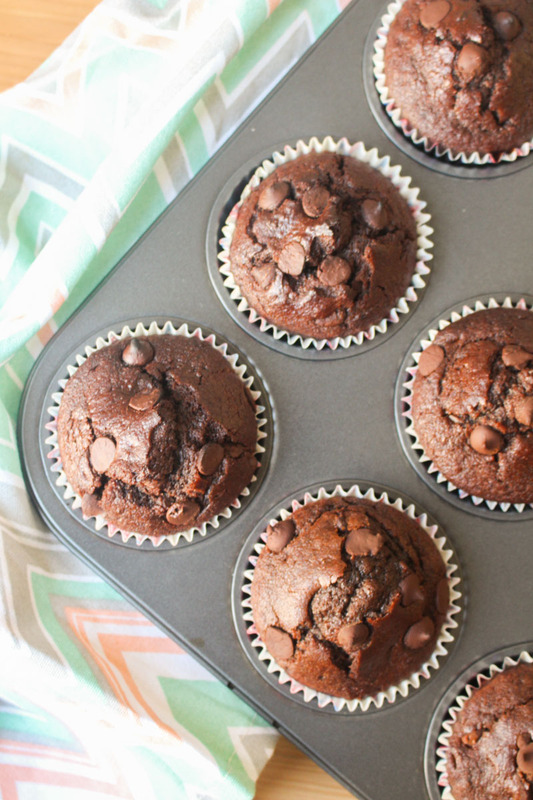 Soft, moist, and full of chips, these double chocolate muffins are easy to make and a perfect treat any day of the week. Preheat your oven to 220°C / 425°F (220°C fan) and line muffin tins with 12 cases. Set aside. Make the coffee, using one teaspoon of instant coffee granules and ½ cup of boiling water. Set side to cool - I usually pop it in the fridge. Place the flour, sugar, salt, ¾ cup chocolate chips, cocoa powder, and bicarbonate of soda into a large bowl (or the the bowl of your stand mixer fitted with a beater blade). Whisk the egg, sour cream, cooled coffee, and vegetable oil together in another bowl (or measuring jug) until smooth. Pour the sour cream and egg mixture into the flour mixture, and beat gently until well combined. Spoon the batter into the pre-prepared muffin cases, making sure to fill three quarters of the way full. This may seem a lot, but it is required to get the domed tops. 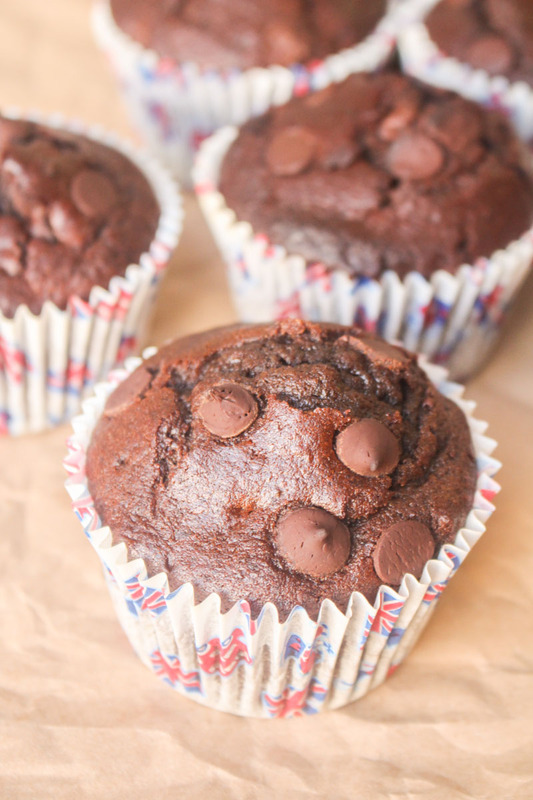 Add the remaining ¼ cup of chocolate chips to the top of the cupcakes before baking. Bake the muffins for 5 minutes, and then reduce the temperature to 200°C / 390°F (180°C fan) for the remaining 12-15 minutes. The initial high temperature will help to get the dome on the top of the muffins. Remove from the oven once a toothpick or skewer inserted into the middle of the muffins come out pretty much clean (avoiding any chocolate chips!). Leave the muffins to cool in the muffin tray for 10 minutes, before removing and placing on a wire rack to cool completely. These muffins will keep fresh for 3-4 days (maybe even 5!) if stored in an airtight container somewhere cool. They can be frozen too for up to 3 months - just defrost at room temperature and then eat within 2-3 days.